If you had the option to leave your job for a new one, would you? About 75% of Americans say that they would or are currently looking for work. If you include yourself in this extensive group, there are certain things that employers want you to know. Employers receive a large volume of employment inquires on a daily basis just for one position. Getting a job is a process of going from one step to the next. Job seekers have to make sure that they stay two steps ahead of it all. Your brain should be brewing scenarios for each step as you go so that you can be both physically and mentally prepared. Preparation is a major factor in achieving job-searching success but a lack of requirements is hard to make up for, no matter how much you prepare. The jobs that are highest in demand in today's job market are mostly tech or business related. These are jobs like accounting, market research, and software developing. Of course, these positions will require a college degree, so if you are either in the process or considering getting yours you must keep in mind the types of jobs that will be available to you once you graduate. 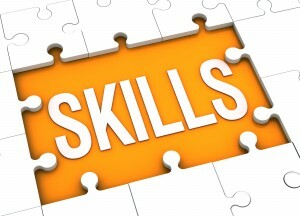 Along with your education, there are certain skills that all employers will be looking for. Being able to demonstrate these skills in any setting will give you the advantage you need to land the job. Decision-making: We all make decisions every day so you might not think that this is a skill which needs much honing. You would be surprised. When you don't have answers and are faced with having to make a tough decision, you'll realize that it takes more than picking a selection. Usually your only option is the one that you come up with. This kind of accountability can really make or break job candidates so employers want to see how well you handle these types of situations. Critical thinking: Critical thinking requires you to look at a situation and be able to identify the strengths and weaknesses of different outcomes. This goes beyond looking at the pros, cons, and possibilities. Every decision must be tied to sound and thorough logic and reasoning. In the business world, gut feelings can be costly and leave you in the job market gutter. Active listening: Employers want a genuine sense that you are giving them your full attention. Anyone can nod and hold and unwavering gaze but active listening is about what you do with the information you've been provided. Your feedback and following actions after what you've heard is how active listening is demonstrated. Employers want to know that you can analyze what they say rather than being spoon-fed what to do. Problem solving: The most successful businesses and organizations are powered by those who can see a problem, take the factors and circumstances into consideration and come up with a sustainable solution. Solving complex problems is a tough skill to master but is often necessary for proving your value at company. The kind of people that usually make the biggest impact in whatever it is they do are those that see room for improvement and come up with ideas to make change for the better. To them, there are no problems, only solutions.